March ushers in the first day of spring, which for many of us means barbeque season. Across North Central Florida and around our country, Americans will be happily firing up their custom BBQ grills and enjoying outdoor seating areas to celebrate the springtime. With the later sunsets and beautiful Ocala weather, we often see an increase in customer requests for custom fabricated BBQ grills, outdoor tables, bars, and benches. 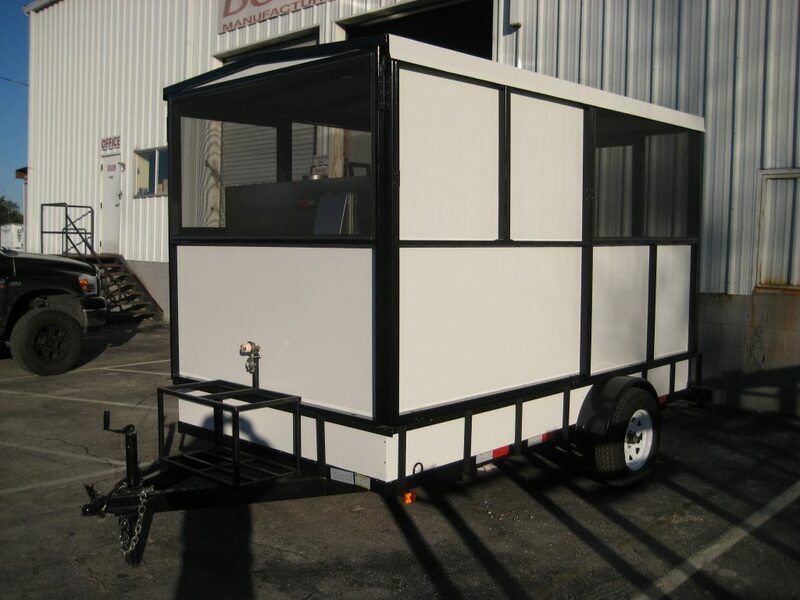 Double R Manufacturing’s team of skilled engineers and artisans are proud to specialize in fabricating these products. We build them not only to entertain, but also to last through the years. What outdoor event is complete without a savory barbeque meal? With a custom barbeque grill or smoker from Double R, your guests will be raving about more than the taste because the high-quality features and customization of your grill will also make an impression. 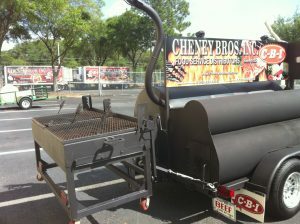 View our gallery of BBQ grills and smokers at: Custom Fabricated BBQ’s. Whether a party-grill for your backyard or a customized grill for tailgating, Double R will customize your grill to last for the long haul. Speaking of hauling, you can also count on Double R for customized carts and all major brand trailers, including lighting, axles, bearings, and full fabrication. Double R’s customers have enjoyed countless hours relaxing at their custom metal-and-wood tables and bars. You can imagine the complements they get when guests see the colors, features, and intricate customization of their furniture. Double R’s team strives to create whatever you can imagine. Each piece can be unique — from a colorful serving table with ornamental metal accents, to a classic wooden bar featuring a logo. View our gallery of serving tables, picnic tables, bars, and benches at Customized Bars, Benches and Tables. In addition to Ocala homeowners, many restaurants and establishments across Florida and the Southeastern U.S. seek our expertise in custom bars and tables for their businesses. Each piece undergoes a design process of meticulous bending, cutting, and assembling to ensure the delivery of only the strongest specialty pieces for businesses and residential customers. Whether we work with an individual or a corporation, one piece or thousands, we love a challenge. The art of making something unique and specific for your needs is our passion. Consider Double R Manufacturing your one-stop-shop for in-door and outdoor tables, bars, benches, custom BBQs, smokers, trailers, carts, and much more. Double R Manufacturing is ready to surpass your expectations this spring with durable products and equipment to meet your unique needs. Call us today at (800) 813-3361.